Pinch, punch, first of the month. Welcome to November ladies and gentleman, replete with brisk winter nights, crackling fires, mulled wine and cider, festive markets, snowflakes and scrooges. As we gear up for the impending party season, here at Yolklore we continue to source the best events taking place in the wonderful city of Manchester. Curating and compiling your weekly round-up, so you don’t have to lift finger. 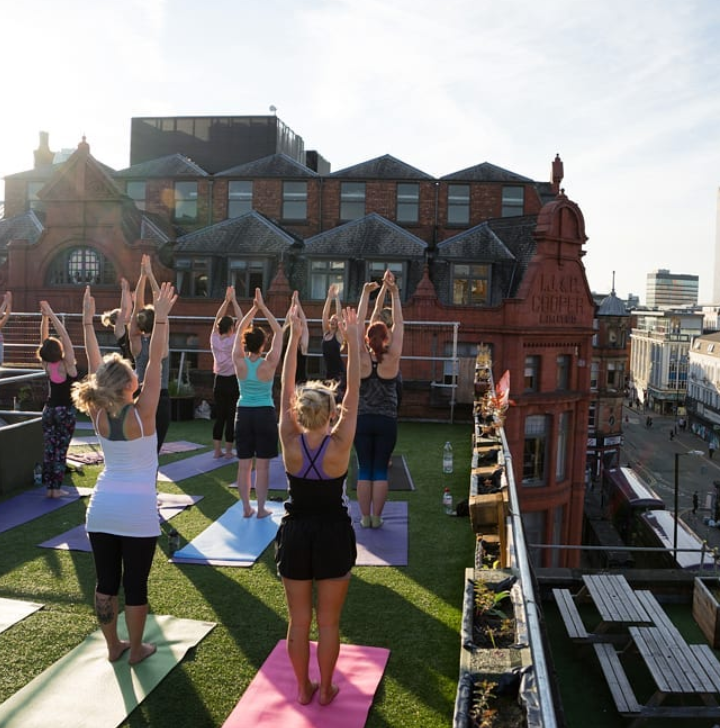 For all the tropical beats and zen vibes this weekend, join Eirian for Reggae Yoga at Hyper Island in the Northern Quarter. A celebration of music and movement, yoga is a great way to focus your energy and practice some self-care. Expect to build strength, stretch and sweat, and build your spirits with a killer soundtrack to boot. Remember, remember, the fifth of November, The Gunpowder Treason and plot. No weekly round-up is complete without a selection of the best Guy Fawkes Night bonfires. While the majority take place this weekend, there’s plenty happening this Monday, including the hugely popular Heaton Park bonfire, the Platt Fields Park spectacle, Buile Hill in Salford, complete with sufficient tipples, and Light in the Night Bonfire Blast at Heaton Norris Park with live music, food and drink. For a painting experience with a twist why not try Drink & Pour with Adam from ArtMCR for an alternative art workshop. from the seasoned scribblers to the bemused beginners, you’ll be able to create your own acrylic masterpiece with your favourite tipple in hand. There’s no better combination than wine, half a cup of paint and a blank canvas. To create marble wonders and amazing abstracts, get your tickets now. 'The UK's biggest music based literature festival', Louder Than Words, takes places next week at the Principal Hotel, perfect for fans and aficionados of music and popular culture and the words associated with these industries. The event will bring together authors, artists, poets, performers, lyricists, journalists, DJs, bloggers, and publishers, for in-depth conversations, panel discussions, and workshops.